Foresight, generosity, and an unyielding desire to help underprivileged youth in the Las Vegas, Nevada community is what prompted prizefighting icon and 12-time world champion, Floyd Mayweather Jr., to establish the charitable foundation that bears his name – The Floyd Mayweather Jr. Foundation (TFMJF). Mayweather is regarded as one of the greatest fighters of all time. Without question, he is the most distinguished and talented boxer of his era. His unprecedented mix of speed, power, and natural defensive instinct has translated into a matchless record of 50 wins without a loss, 27 knockouts, and 12 world championships in five weight classes. Mayweather’s dominance in the sport of boxing has yielded significant accolades for him outside of the ring. Over the course of his career, the Boxing Writers Association of America, Ring Magazine, BET and the Nevada Boxing Hall of Fame have all honored Mayweather as Fighter of the Year. He also possesses a record six ESPN ESPY awards in the Best Fighter category. His prominent status as a constant achiever lends credence to his motto that anything is possible with hard work and dedication. In 2009 Mayweather decided to leverage his star power by founding TFMJF, a not-for-profit 501(c)(3) organization dedicated to empowering and promoting the social development and advancement of adults and adolescents. The foundation is singularly focused on community health and wellness, economic growth and development, and impactful youth education. TFMJF continues to seek new ways to advance our mission of empowering and encouraging community alliances, impacting youth leadership, and strengthening family foundations through community development, entrepreneurialism, and educational initiatives. Floyd “Money” Mayweather, is one of the greatest fighters of all time. Without question he is the best and most talented fighter of his generation. Throughout his illustrious career Mayweather displayed an unprecedented mix of speed, power, and natural instinct every time he stepped into the ring – a combination that translated into 50 wins without a loss, 27 knockouts, and 12 world championships in five weight classes. Mayweather has competed in four of the highest revenue generating Pay-Per-View events, with victories over Oscar De La Hoya in 2007, Canelo Alvarez in 2013, Manny Pacquiao in 2015, and Conor McGregor in 2017. The Showtime PPV presentation of Mayweather vs. McGregor on August 26, 2017 generated the second most PPV buys in North America with an astonishing number of 4.3 million. This bout officially became Showtime PPV’s second best event of all time and contributes to the largest revenue for a single-day sporting event that history has ever seen. Mayweather has been named the highest paid athlete 4 times by Forbes magazine with the most recent coming in 2018. He also earned the status of highest paid celebrity for the same year. Mayweather established himself atop the list of boxing’s all-time best and as a moneymaking genius as his fights consistently yielded victories and generated record-breaking pay-per-view revenues. 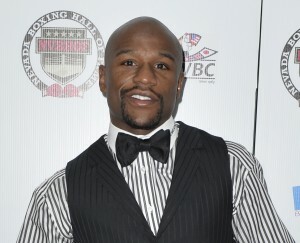 As he continued to reach new heights in the ring, and set an even higher bar outside of it, references of “TMT” (The Money Team) and “TBE” (The Best Ever) have become familiar throughout the world as he continues to build his successful promotional company, Mayweather Promotions, “The Money Team” and Mayweather Sports clothing and apparel brands, and his gentleman’s club; Girl Collection. Forbes recognized him for the 4th time as the highest paid athlete in all of sports, making 285 million dollars in the September 2017 to 2018 calendar year. In 2014, Mayweather was named the highest-paid athlete in the world by ESPN The Magazine. Sports Illustrated also named him the highest-earning athlete in American sports in 2012 and 2013. All of these achievements have been reached without a single dollar being earned from endorsements. On August 26, 2017 Mayweather shocked the world when he announced his return to the ring to battle UFC champion, “The Notorious” Conor McGregor in a 12-round super welterweight match-up for the WBC money belt. This was his first fight in 714 days, after he announced he would never fight again. He ended his historic 21-year career in style by controlling an all-action fight that thrilled the 14,623 fans in attendance and watching around the world. Just as he promised, Mayweather came forward and the referee stopped the super welterweight fight at 1:05 of the 10th round. With this win, the five-division world champion from Las Vegas became the first boxer to finish his career at 50-0, eclipsing the record that he had shared with the legendary Rocky Marciano. Born and raised in Grand Rapids, Michigan, Mayweather was born into a boxing family. His father, Floyd Sr., was a former welterweight contender who fought Hall of Famer Sugar Ray Leonard, and his uncles, Roger and Jeff, were also pro fighters, with Roger – Floyd’s former trainer – winning two world championships during his prime. Fitted with boxing gloves while he was still a toddler, Mayweather started boxing competitively at the age of seven and his acumen for the game was obvious from the start. He would go on to compile an 84-6 amateur record while earning three Michigan Golden Gloves titles, three National Golden Gloves titles, PAL and National Championships and an Olympic Bronze medal in the 1996 Games. After a stellar amateur and Olympic career, Mayweather won the first 17 fights of his pro career and fight fans were chomping at the bit to see the ultra-talented Mayweather compete with the elite at 130 pounds. On October 3, 1998, they got their chance when the 21-year old faced off against the late Genaro Hernandez for “Chicanito’s” WBC world championship. The highly anticipated fight was no contest, as Mayweather battered the veteran with blinding combinations, pitching a near shutout before the fight was stopped after the eighth round. Floyd Mayweather was a world champion. Mayweather’s goal to live a rich, full life outside the ring is just as important as success in the ring. He is actively involved with the lives of his four children and regularly visits with his other family members who live near him in Las Vegas. He is looking forward to spending even more time with them, now that he is retired. His charitable endeavors do not go unnoticed either. 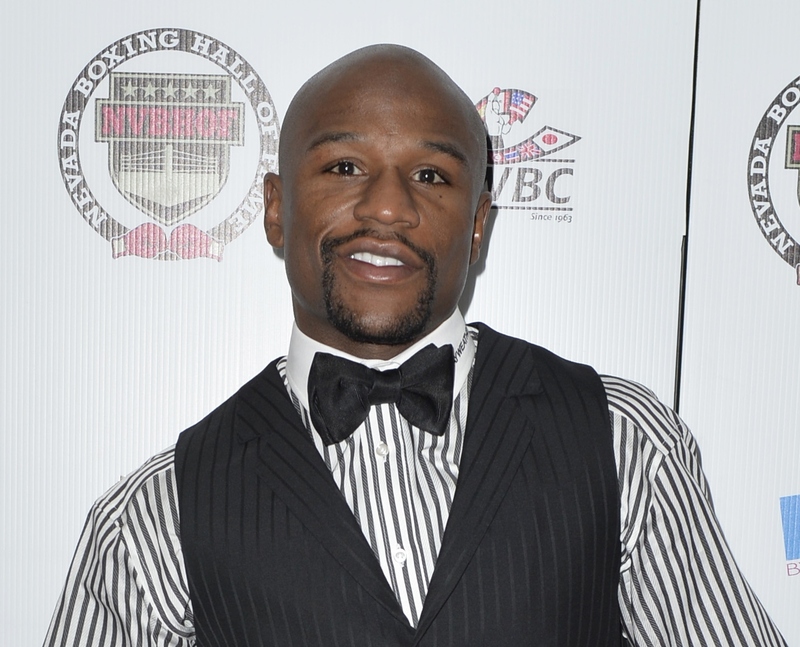 Mayweather is the Director of The Floyd Mayweather Jr. Foundation (TFMJF), which he founded in 2009. The foundation’s goals of empowering and encouraging community alliances, impacting youth leadership and strengthening family foundations in the Las Vegas community, are having direct impact on those they touch and serve. Through the heartfelt work of his foundation, Mayweather hosts several annual community events including: Fight-4-Fitness, Back-2-School Giveaway, and the Thanksgiving Giveaway. He also contributes to his community through supporting the less fortunate population in Las Vegas, frequently showing up to distribute sandwiches and water himself. He has made contributions to the Susan G. Komen Las Vegas Chapter, Habitat for Humanity Las Vegas, Rainbow Dreams Academy, Three Square Food Bank, Opportunity Village, and Nevada Partnership for Homeless Youth, all reflecting his generosity and efforts to give back to those in need. As director and founder of the foundation since its inception in 2009, Mayweather appoints board members, acts as spokesperson, and facilitates fundraising opportunities for the organization. Craig, a former accountant with a degree in accounting and business management from the University of Illinois- Chicago has been a board member since 2009 and actively manages financial planning, reporting, and directs overall operations of the foundation, as well as the general planning and execution of programs and events. 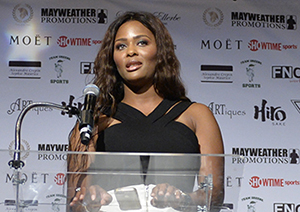 In addition, she acts as Vice President of Marketing and Operations for Mayweather Promotions. 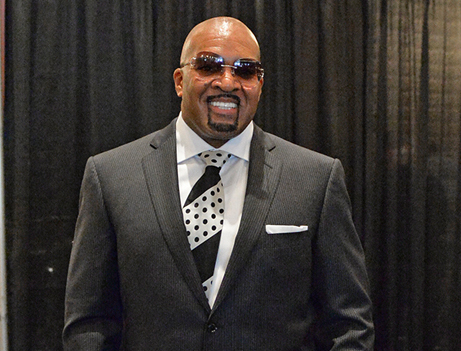 Ellerbe became a board member in 2009 and is currently the CEO of Mayweather Promotions. He works hand in hand with board members to support all charitable partnerships and actively participates in program execution and fundraising for the organization. Knight joined the board in 2009. Her responsibilities include scheduling and attending board meetings, compiling board minutes, disseminating critical information to board members and organizing the day-to-day paperwork of the foundation’s partnerships.